This sort of thinking is integral to our mass consciousness and we are suffering for it, both indi­vidually, and collectively. Millions of us are depressed, stressed, anxious, obese, insom­niac, angry and terrified. Living at cause can be summarized in one statement, “It’s my life and I and I alone am responsible for how it goes.” Most of us feel like we are at the mercy of circumstance; that life happens to us. And while it may feel this way, scientists have provided empirical evidence that suggests just the opposite: we create our reality through the manipulation and expression of our energies. 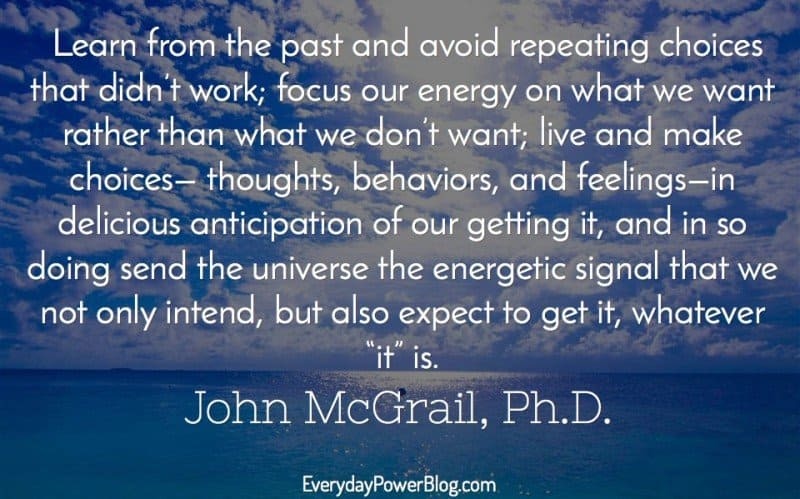 We are essentially energy machines, like TV transmitters, and everything we think, do, say and feel— the energetic “signal” we send into the universe—has a direct effect on the energy we attract back into our lives. Living “at cause” means we take full and sole responsibility for that interaction and its outcomes. Doing so creates a feeling of control. It allows us to let go of neediness, to find our personal strength from within ourselves rather than hoping to find it from some outside source, which never works for very long. It helps us truly love, honor and respect ourselves, a mandatory requirement for attracting love, honor and respect back, and that’s what most of us want most of all. 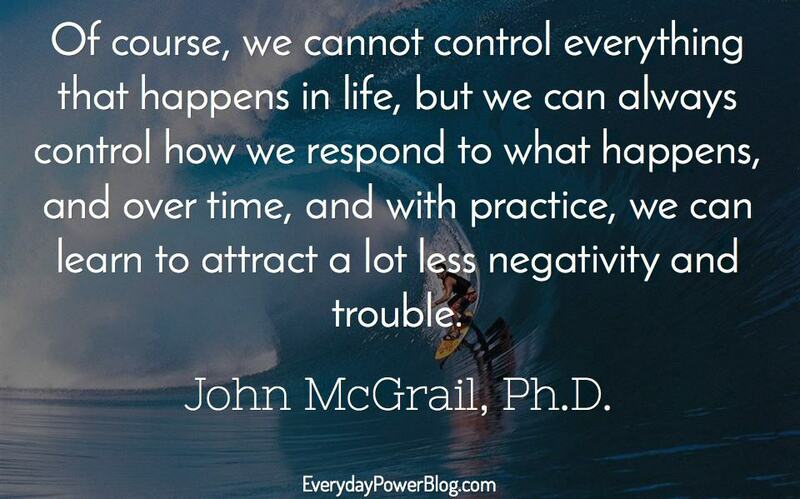 Of course, we cannot control everything that happens in life, but we can always control how we respond to what happens, and over time, and with practice, we can learn to attract a lot less negativity and trouble. We can learn to synthesize, transmit and attract an overall energy of wellbeing, happiness and abundance, whatever that might mean to us. Secret #2: Live your life according to your core values. We all have core values, those attributes of life that must be present in order to feel whole and balanced. 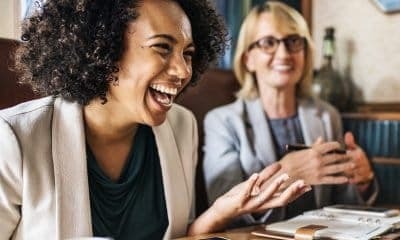 Core values are what I call the non-tradeoff items, and we all have them for virtually all aspects of our life, from career to personal relationships. Examples of core values might include, honesty, trust, integrity, passion, creativity, recreation, working in teams or individually, money, socialization or isolation, etc. It’s safe to say that many, many of us try or feel forced to live our lives, pursue careers, and/or our relationships according to the expectations and values of others and often in opposition to or in compromise of our core values, and this never, ever works without a lot of pain. So, take the time to figure out what your core values really are for the all important aspects of your life, career, relationships, friendships, etc., then choose to live according to those values and your expectations. 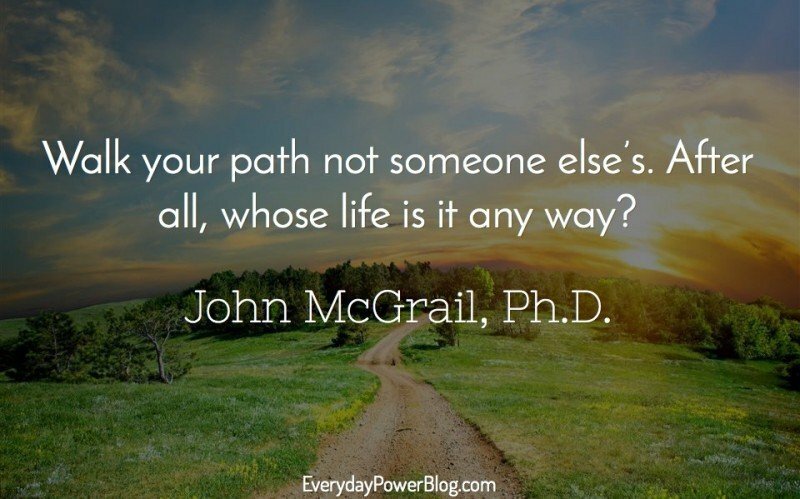 Walk your path not someone else’s. After all, whose life is it any way? Secret # 3: Embrace the process; and it is all a process! We have become a society that worships instant gratification. With the incredible advances in technology over the last century we have grown used to having things happen quickly. For most of us, at least in Western society, not only the necessities but also many of the so-called luxuries of life are right at our fingertips. As such we are impatient; we want what we want and we want it right now! But, and, whether we like it or not, life is a process. There is no avoiding that salient fact, so the sooner one accepts that he or she is in process and will always be in process, and that we can only live one moment at a time—the present moment— then we are on the way to true empowerment. Once of the great benefits of accepting and embracing process is that we can learn how to better budget and expend our energy. We can slow down and enjoy the ride! We can also stop investing so much energy in the past; it’s over, done, and cannot be redone. What is the past good for? One thing, and that one thing is a big thing: learning. We can look at the choices we’ve made, stick to the good ones, learn from the not so good ones and—drum roll—commit to not repeating the ones that caused us pain. 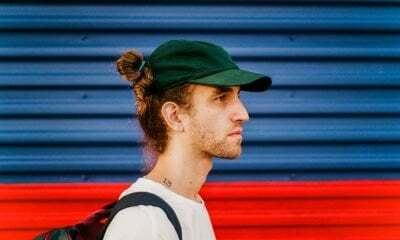 We can also learn to stop worrying about the future; we can visualize and pre-pave the future we wish to manifest, and feel the excitement of anticipating what we are wanting to achieve or create, but focus more of our energy on where we are now, how we’re feeling now, and then make choices that feel good now and that also take us toward what we want. How simple! Learn from the past and avoid repeating choices that didn’t work; focus our energy on what we want rather than what we don’t want; live and make choices— thoughts, behaviors, and feelings—in delicious anticipation of our getting it, and in so doing send the universe the energetic signal that we not only intend, but also expect to get it, whatever “it” is. Suddenly, life is a lot more fun and a lot more productive and we find we get “it” sooner. I’ve found that for most people the easiest way to think about human energy is in terms of three separate streams: physical, emotional, and spiritual. If we make the time and effort to balance and integrate all three, we find ourselves living a very calm, centered, healthy, peaceful and productive existence; we are happy campers in the forest of life. Balancing and integrating our energy streams is simple, and it can also be easy, and I always encourage my clients and students to choose easy! It starts with one very important choice; to commit to loving, honoring and respecting ourselves, treating ourselves as kindly and compassionately as we treat those whom we love. With that commitment in mind, let’s take a look at what needs to be done. Physical energy is the energy of your body, the vehicle through which we experience life on the earthly plane. The human body is a miracle of universal evolution and creation. If we feed it well and move it regularly and vigorously, it will stay in a healthy, robust state for a very long time. That’s as easy as it gets! Emotional energy is a bit trickier; it is the energy of our identity as individual beings, what we might call our ego. The ego is a product of behavioral programming that takes place very early in life. Most of our ego-driven thoughts, feelings, emotions and behaviors are the result of that programming and arise in the subconscious part of the mind. The subconscious is like a three-year old child, and thus can easily get itself into trouble. But, if as an adult, we commit to loving, honoring and respecting ourselves, it doesn’t take very long to realize that many of the self-defeating thoughts, behaviors, and limiting beliefs we hold are merely patterns handed down to us; and we don’t have to accept them if we choose not to! So we can consciously choose to think, feel and behave in a way that feels good and that serves our growth, wellbeing, and the greater good. The adult in us can treat the child in us very kindly, providing gentle but firm guidance. I often have clients do an assignment in which they commit to treating themselves as if they were their own little kids. It works wonders. And now we look at the energy of spirit. 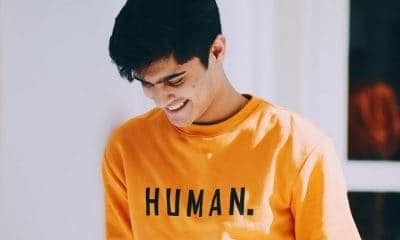 One of the great sources of disconnection in our technology-driven culture is that we have forgotten who we are, that we are, indeed, spiritual beings in a physical body. We have become obsessed with the physical world, the world of the flesh and materialism. This energetic imbalance is the source of much of our pain and disconnection. It is also one of the easiest attributes of life to repair. There is no longer any doubt that the energy we call spirit exists; science has proven it. Spirit is the essence of our consciousness, our very being. Spirit comprises the largest component of our total energy and, ironically, it is also the component that has been most neglected for the last half millennium or so. So, how do we take care and nurture this essential energy? 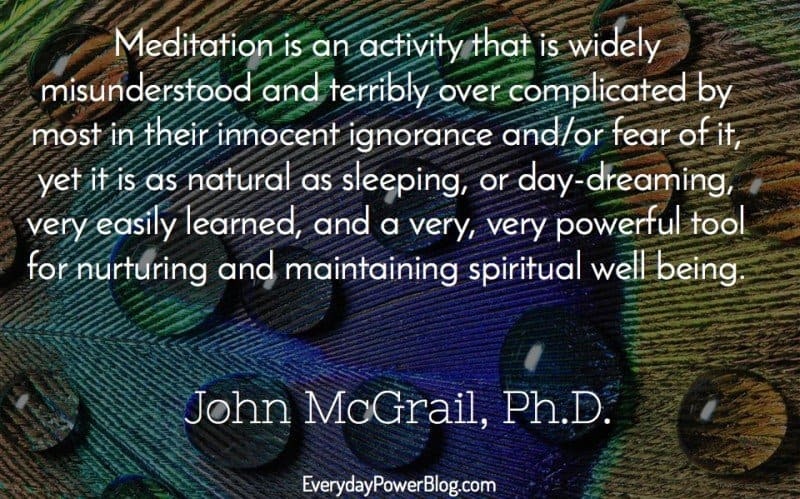 By simply taking some time, each and every day to sit quietly, turn off the noise and static of modern society— no phones, radios, IPods, TVs, etc— then gently go within and simply spend a little while being rather than doing—meditating. Connecting to spirit—our essence—connects us to Source energy, the God-force within each of us. It helps calm the inner three-year old and inspires us to eat better and move more, the singular best way to balance and tend to our physical energy. 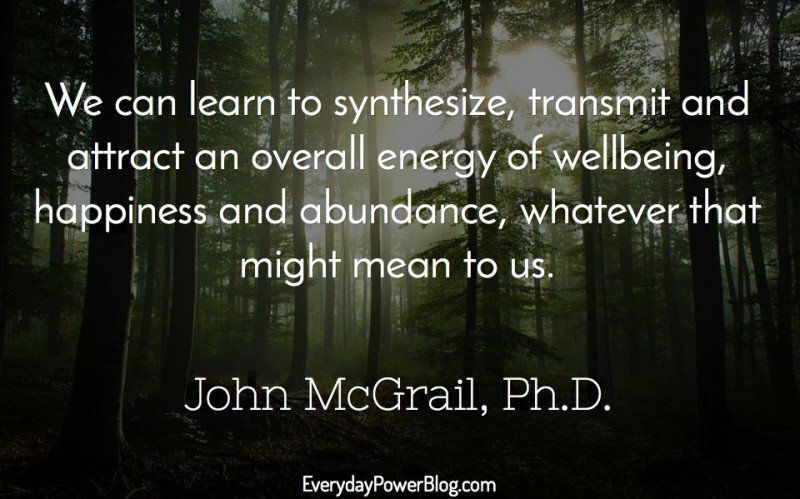 When all this happens, we have mastered the 4 secrets of Synthesis and find ourselves living Rule # 1 in the McGrail method: Life is supposed to be Fun!